What is PRP? How long to see results from prp hair treatments? Contained inside human blood are specialized cells called mesenchymal stem cells. 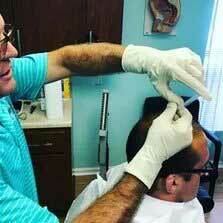 PRPand Stem Cell Therapy for hair restoration in Jupiter uses autologous blood products, that have essential growth factors that are used in our tissue regeneration and healing when we get injured or sick. Academic research, medical literature and published studies from both Europe and the United States have all confirmed the overall safety and effectiveness of PRP therapy for hair loss. PRP has been used as a medial adjunct therapy for atleast twenty years mainly for skin treatments and in assisting with wound healing, quite successfully. 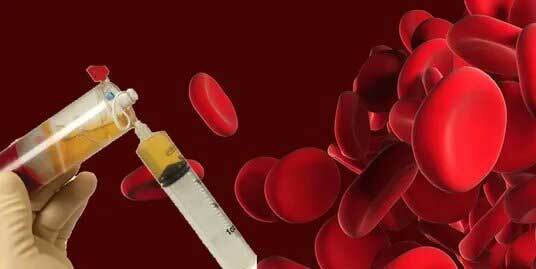 PRP as of late has established itself as an effective medical treatment that is now widely used in various specialty fields like cosmetic surgery, maxillofacial and oral surgeries, neurosurgery, plastic surgery and increasingly in sports medicine for athletes and orthopedics. The effectiveness in undeniable as patients report significant improvement and techniques and knowledge have improved the outcomes over the past 20 years to the point where professional athletes are opting for PRP prior to surgery. PRP used in hair restoration is more recently being used as a non surgical treatment for thinning hair and receding hair lines in both men and women. Mounting evidence has supported Plasma Rich Injection Therapy as an extremely promising hair restoration treatment option for the promotion of hair growth. 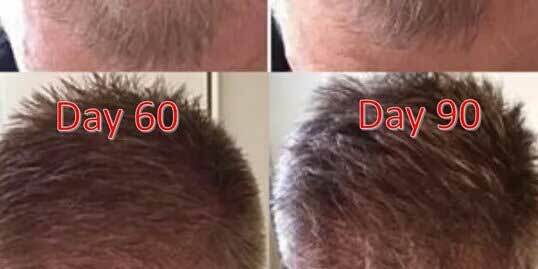 It should be noted that PRP is in the early stages of scientific research in hair restoration, and not meant to replace current FDA approved, however it is a promising non-surgical therapeutic option for those patients with hair loss and has shown some amazing results thus far. Typically one can expect to see results from PRP injections in Jupiter at NovaGenix within a few weeks to months depending on several individual factors. Can PRP Regrow Hair? 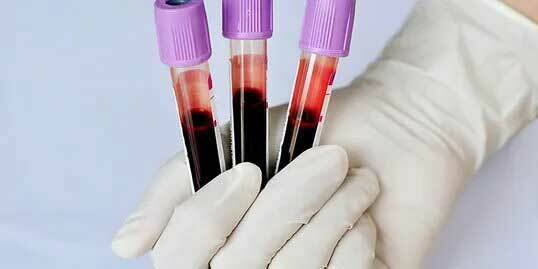 how many prp treatments are needed? At NovaGenix, we’ve been providing patients PRP therapy as a proactive therapeutic option for men and women experiencing hair loss. PRP is an exciting non-surgical hair restoration option for patients who need stimulation of hair growth for hair loss conditions. Recent scientific studies within the medical community and advancements in technology have provided medical professionals with new understandings of wound and tissue healing. Because of this recent scientific research, we can recognize PRP as an all-natural autologous medical procedure conducted by physicians offices and clinics for hair stimulation as well as that of the scalp and skin. When PRP is administered to the scalp, hair follicles have been shown to not just STOP their reduction in diameter but the process has even been shown to reverse itself. Patients have been able to regrow hair after PRP sessions. All people are different, so some individuals may take only 1 session, where others may need 2 or 3. Blood is drawn in our office the same way as when you’re getting routine blood work at your primary care provider. 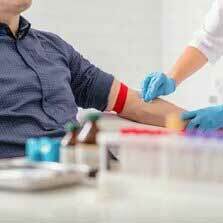 The blood is then spun in a high speed centrifuge and the Platelet Rich Plasma is separated into a high concentration. The PRP is then separated and removed from the rest of the blood sample . In PRP, the platelets are concentrated to 3X their normal blood values. The system eliminates granulocytes which are cells that impede in the process of tissue regeneration and wound healing. The highly concentrated platelet rich plasma (PRP) is then injected into the scalp. The patient feels no pain during the injections due to a local anesthesia being utilized on the scalp. Afterwards, the patient’s hair is washed and the patient can drive home with no side effects. PRP contains several growth factors which stimulate hair follicle growth. PRP can be used preoperatively, intraoperatively, or post operatively. Many patients have chosen to have PRP performed every three (3) to four (4) months as early data suggests regular or semiannual PRP treatments that may stimulate hair growth. Platelets which are contained in the PRP, are what scientists believe to theoretically cause growth of the hair follicles through the stimulation of stem cells and other cells within the micro-environment of the hair follicles. These cells promote healing, and often accelerates the rate and total degree of tissue healing and regeneration, response to injury, and the formation of new growth on a cellular level. 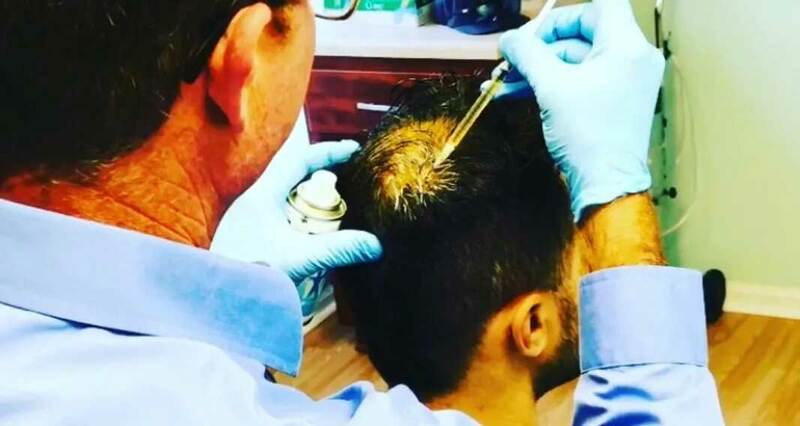 The primary purpose of using PRP in hair restoration is to stimulate inactive or newly implanted hair follicles into an active growth phase.Inside the Platelets there’s several intracellular structures like glycogen, lysosomes and alpha granules. These granules within the PRP contain clotting and growth factors that are eventually released during the healing and repair process. Platelets contain the growth factors essential for our own body’s tissue healing and repair. When tissue in our body gets injured, these platelets are what are responsible for clotting blood to stop bleeding and stimulating the cells to start healing and regenerating and repairing new tissue. This is their normal function. It’s been learned through research that these growth factors also cause multiplication of cells including hair and skin cells. This is why they are now being used to treat hair loss. NovaGenix patients rave about our success. professionalism and care. We go out of our way to ensure that we help educate and help our patients as much as they need and make ourselves available to answer questions whenever they may arise. 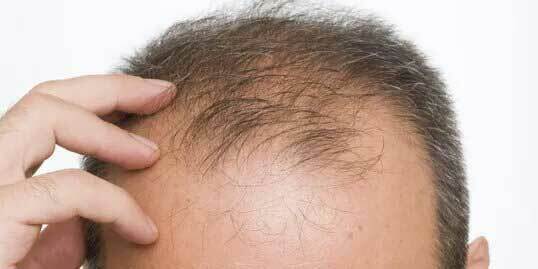 Stem Cells For Hair Loss. For patients who want to restore their hair and reverse balding, PRP for hair restoration offers the best chance for hair growth for patients who aren’t good candidates for surgery or those men and women who want a more aggressive nonsurgical approach to treatment for their hair loss. If you need hair stimulation, NovaGenix will be able to meet your needs. Results will sometimes vary from patient to patients, but thus far, PRP has been shown to offer a real solution and hope to men who wish to restore their hair and youthful appearance. It helps rejuvenate the thinning of hair so that the follicles are stimulated making the hair grow thicker and fuller. It strengthens the roots of the hair. it can also prepare the skin and hair for an upcoming hair transplant, PRP has long been known for the beneficial qualities it provides preparing the region for a hair transplant. Watch a video of a PRP procedure for hair loss. 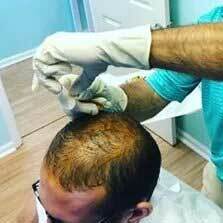 PRP therapy is used in hair restoration and produces natural looking results. We use a small needle t minimize discomfort, and the patients own Platelet-Rich Plasma (PRP) which we then inject into the affected area in the scalp. Slowly but surely, the growth factors and cytokines in your blood start to work and the re-growth of a persons OWN hair is naturally stimulated. Hair loss occurs because of hair follicles that have become damaged, and that have been cut off from the supply of nutrients and proteins that nurish them. There are a variety of factors responsible for this damage that can interfere with the hairs natural growth cycle. Some of these factors include sickness and disease, medication, and perhaps the most significant, DNA or genetic pattern balding. 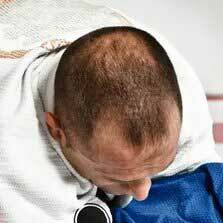 Most scientists believe that ale pattern baldness is caused largely by an endogenous androgen hormone called dihydrotestosterone (DHT). 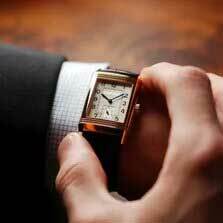 How Long Does PRP Take To Work? Much like any treatment for hair loss, with the exception of surgical implants, it can take months before the hair follicles begin to get stronger and show results. New hair growth can typicall be seen 4-6 months after the PRP injections were performed. The hair folicles continue to become strengthen for up to 15 months after PRP. The results you may experience with hair growth is going to be relative to a patients normal hair growth cycle. Usually after the 12 month mark, the patient will have a good idea as to how successful the PRP hair treatment will be. How many PRP treatments will be needed? With PRP for hair loss, most average patients will need l 3 initial treatments about 6-8 weeks apart. 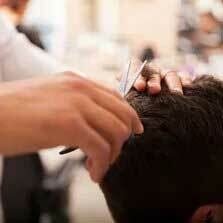 Afterwards, treatments are typically recommended once every 12 months or maintenance. For those patients who experience successful results, PRP hair treatments will be recommended periodically, S technological advancements occur in medicine and in PRP hair restoration, its likely that the costs and frequency of the procedures will go down, but compared to surgery and a lifetime of medication, PRP is an affordable as well as effective while being 100% natural. Whats The PRP Success Rate? hThe results that patients may experience using PRP often varies depending on the underlying cause ‘tof a patients hair loss. PRP doesn’t “grow” new follicles but it nourishes the existing follicles which causes the hair to grow back thicker and fuller. It also slows down the process of hair loss. Some experts have said that PRP is effective for both men and women with air loss in 70% of the cases. All patients are different with cosmetic medicine, most treatments require follow up maintenance.The same is true of PRP. It is suggested by many experts that PRP’s effects may last anywhere from one year to three years. After that, the effects of the PRP therapy may fade and follow up treatments may be needed. What Are The Side Effects of PRP Hair Treatment ? The best part of PRP is that there are next to ZERO side effects and risks associated with PRP. Because you are using your own blood, the body will not reject its own cells. The chances of an infection are limited when the necessary safety and sterilization techniques are being followed, but those cases are extremely rare. NovaGenix is a premier medical clinic that specializes in PRP for Hair Restoration in Jupiter, so if you have thinning hair and want to learn how you can restore your youthful appearance, all us to set up an appointment. 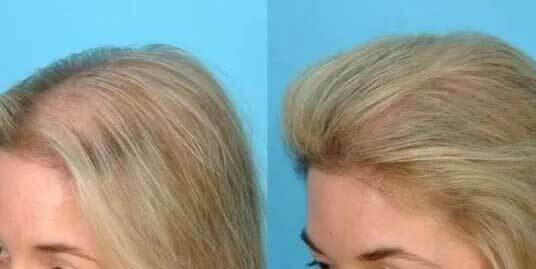 Platelet Rich Plasma for hair loss in Jupiter at NovaGenix can help you today, so call us at 561-277-8260 to schedule an appointment.